The Munich public prosecutor's office said it searched the apartment of Stadler last week. 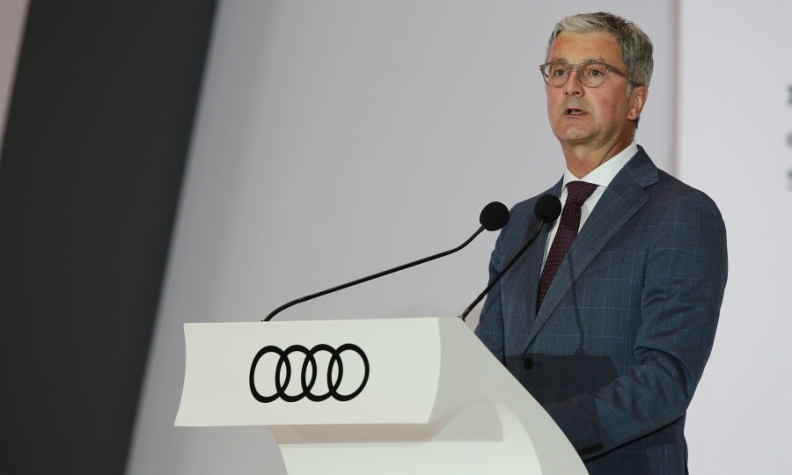 FRANKFURT -- Munich prosecutors said that Audi CEO Rupert Stadler was arrested on Monday because investigators saw the risk that he might seek to suppress evidence in connection with a diesel emissions probe. "As part of an investigation into diesel affairs and Audi engines, the Munich prosecutor's office executed an arrest warrant against Professor Rupert Stadler on June 18, 2018," the Munich prosecutor's office said in a statement. A judge in Germany has ordered that Stadler be remanded in custody, it said, to prevent him from obstructing or hindering the diesel investigation. The prosecutors' office last week widened its emissions-cheating probe against Audi to include Stadler among the suspects accused of fraud and false advertising. Volkswagen Group and Audi confirmed Stadler's arrest this morning, adding that the presumption of innocence applied to Stadler's case. Munich prosecutors and Stadler himself were not immediately available for comment. A spokesman for Porsche SE, the company that controls VW and Audi, said Stadler's arrest would be discussed at a supervisory board meeting on Monday. VW admitted in September 2015 to using illegal software to cheat U.S. emissions tests on diesel engines, sparking the biggest crisis in the company's history and leading to a regulatory crackdown across the auto industry. The U.S. filed criminal charges against former VW CEO Martin Winterkorn in May, but he is unlikely to face U.S. authorities because Germany does not extradite its nationals to countries outside the European Union. The Munich prosecutors said Stadler's arrest was not made at the behest of U.S. authorities. The executive was arrested at his home in Ingolstadt, in the early hours on Monday, they said. The Munich public prosecutor's office said last week it was investigating 20 suspects, and that it had searched the apartment of Stadler and one other current board member. The second suspect is Bernd Martens, Audi's head of purchasing, according to a person familiar with the investigation who declined to be identified because prosecutors hadn't disclosed the name, Reuters reported. Martens led a diesel task force at Audi, which was set up to coordinate the handling of the crisis with the parent company.